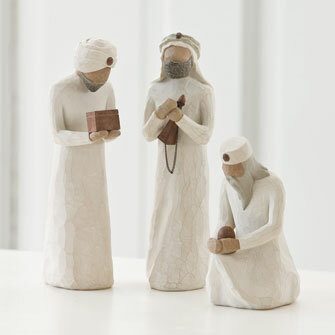 Willow Tree Nativity Set by Susan Lordi. 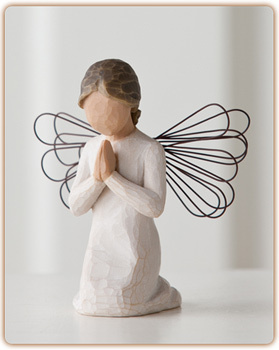 These beautiful figurines are the perfect reminder of what Christmas is all about. This enduring story of baby Jesus makes a wonderful gift any time of year. 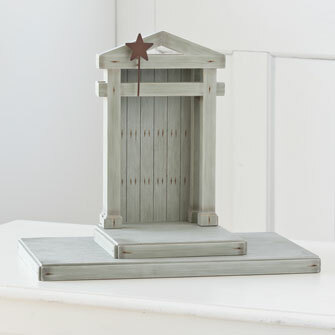 We are endeavouring to keep these nativity sets in all year round but due to their popularity this may not always be possible. 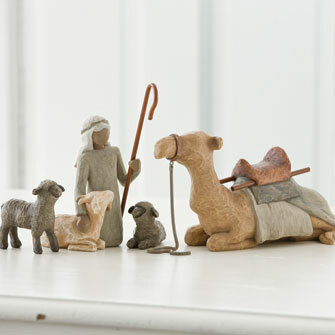 This is a classic nativity set, for a family or church. 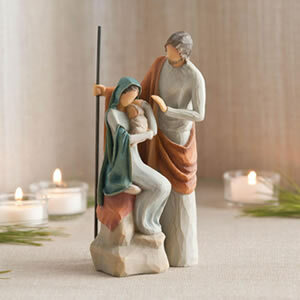 A nativity scene is a depiction of the birth of the baby Jesus Christ as depicted in the gospels of Matthew and Luke. 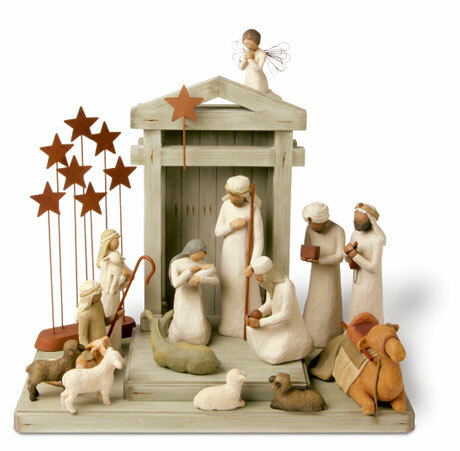 The first ever recorded Nativity set - Scene was created by Saint Francis of Assisi in 1223 Greccio Italy. 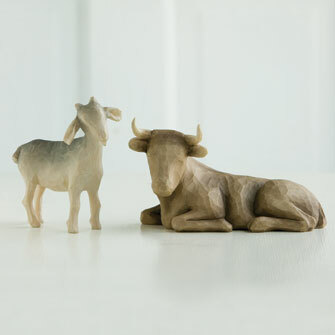 This scene involved using living people and animals. A Live pantomime performance was often performed. Within a short time every church in Italy was expected to perform a pantomime every year. 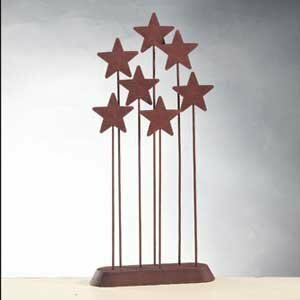 Eventually static figures replaced the performance and elaborate clothes and great stages were built and displayed. 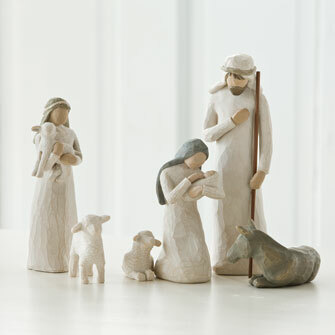 Nativity scenes generally include the Baby Jesus and Mother Mary in a stable surrounded by Joseph, some Shepherds and at least one angel.